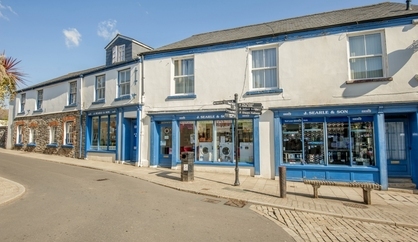 J.Searle & Son has been trading in the small Devon town of Buckfastleigh for over 50 years. 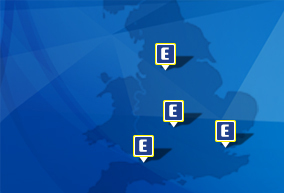 It is quite a unique store, visually it incorporates many of the features and charms of the original town yet within it you will find an amazing array of top brand competitively priced electrical and gas appliances. In the really competitive market of electrical retailing many people are surprised that such a traditional family store in such a small town can survive. Ask Jackie Berry the store manager and partner in the business what makes J.Searle and son such a success and she will tell you three things. 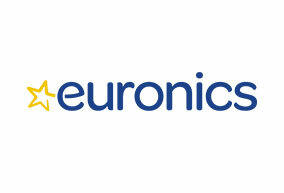 Customer Service, loyal trusted long serving staff and remaining competitive with the strength of Euronics purchasing power. Whilst many company’s often claim the same philosophy they often talk the talk at J.Searle and Son they walk the walk which is why they remain in business 50 years on. Many of the staff have worked at J.Searle and Son for years, their experience and knowledge can help you make the best possible purchasing decision. That means getting the right product that matches the customer’s needs. Unlike many retailers the staff get no commission on sales so they wont try and sell you something because there’s more money in it for them, nor will they try to make you take a an additional guarantee on products, instead at the end of the warranty period you are written to and will be offered a maintenance contract which you can consider in your own time. J.Searle & son offers free local delivery where they will deliver and unpack your new purchase in your home. They also offer a full custom installation and removal service on everything they sell. In many instances they can offer same or next day delivery at no extra charge. Service is an area where many retailers let you down. They are happy to sell you something but when it breaks down they have no service facilitys. 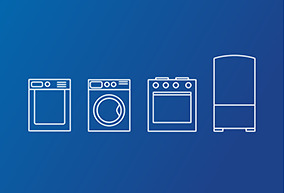 At J.searle & son we are fully commited to service, we still employ our own engineers offering a full repair service if your product breaks down after the manufacturers warranty has expired. Rentals are another option, maybe you don’t want to purchase an item at this time, with rentals you can keep up-to-date with the latest technology, have no worries about repairs and maintenance as well as keeping to a set budget. The staff at J.Searle and son want you to be fully satisfied and return as a customer time after time, they always aim to be competitive on price, if you find an item advertised cheaper with one of our competitors we promise to wherever possible match or better that price. However at J.Searle & Son it’s not just the price it’s the benefit of top quality service by local people you can know and trust.